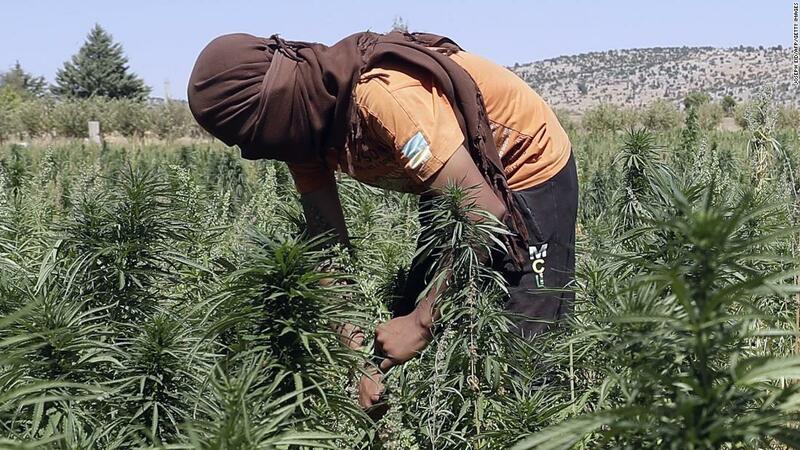 Bekaa Valley, Lebanon (CNN) The farmer plucks a cannabis flower from a long stalk. He presses it against his nose, inhales deeply and begins to extol the therapeutic — if not necessarily scientific — properties of his crop. This is part of the heartland of Lebanese farming, once considered the breadbasket of the Middle East. It is also home to some of the region’s most conservative and controversial political groups. 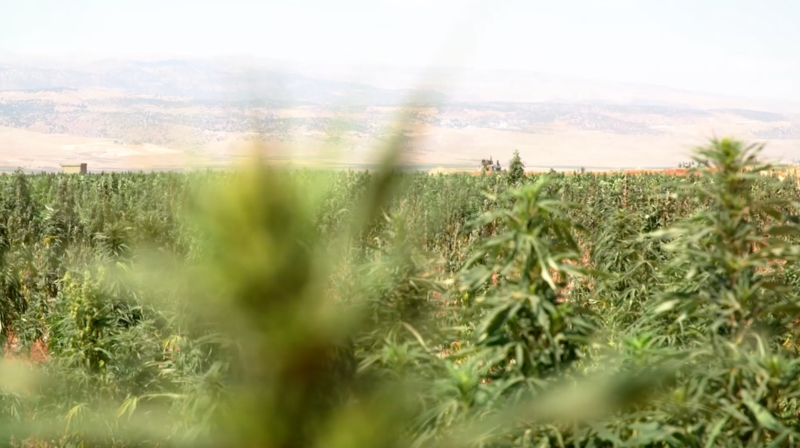 An expanse of cannabis — almost the size of three soccer fields — stretches out in front of Abu Salim. Harvesting season hasn’t started yet, but the country has recently trained its sights on fields like these. 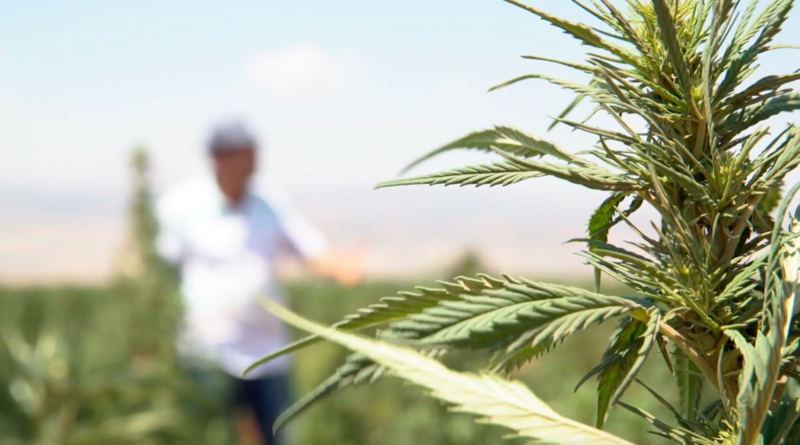 Heeding the recommendation of international consulting group McKinsey, which was part of a broader development plan, Lebanon’s parliament is preparing to legalize medicinal cannabis and its cultivation. It’s meant to pave the way to a nearly $800 million industry, according to Economy Minister Raed Khoury, and could serve as a quick fix for some of the country’s many economic woes. And Lebanon’s farmers say the change can’t come too soon. As in many parts of the region, the country’s farmlands have been disproportionately affected by global warming. The Bekaa Valley, nestled between Mount Lebanon and Syria, is stricken with droughts, and many wells are drying up. Growing potatoes, onions and other produce native to the region has been harder than ever before, experts and farmers say. 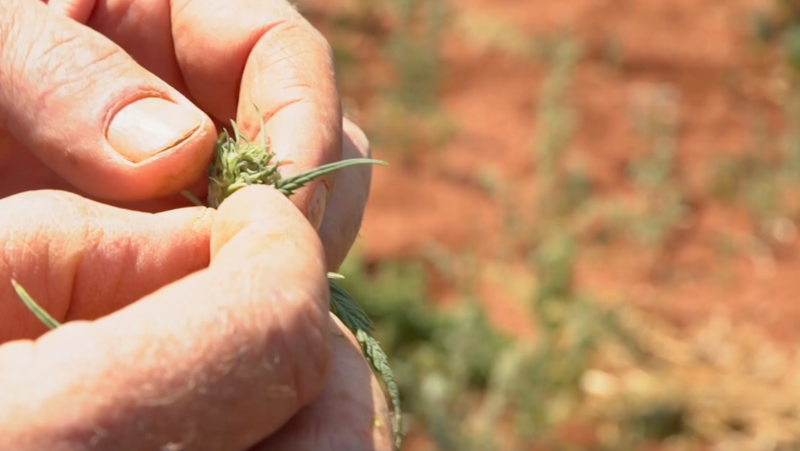 But cannabis is a drought-resistant crop, requiring little water and no pesticides. And it flourishes in the high altitudes of the Bekaa plains. A farmer in a pickup truck rolls up next to Abu Salim. “What’s the latest on the talk about legalizing the potatoes?” the farmer calls out. “Potatoes” is code for hashish, the resin made from the cannabis plants in these parts. “God knows!” says Abu Salim. “If they don’t go ahead with it, there’s no hope for us!” the other farmer says, as he goes off on his way. No legal hope, that is. Later, peering from beneath his bucket hat as he drives his truck over dirt roads — unofficial streets that criss-cross his sprawling carpets of cannabis — Abu Salim gesticulates wildly as he talks about how his plant “makes life beautiful.” But what he calls the “herb of happiness” does not completely quiet his nerves, and he eyes the surroundings with some suspicion. He even keeps an assault rifle on the floor of his truck. 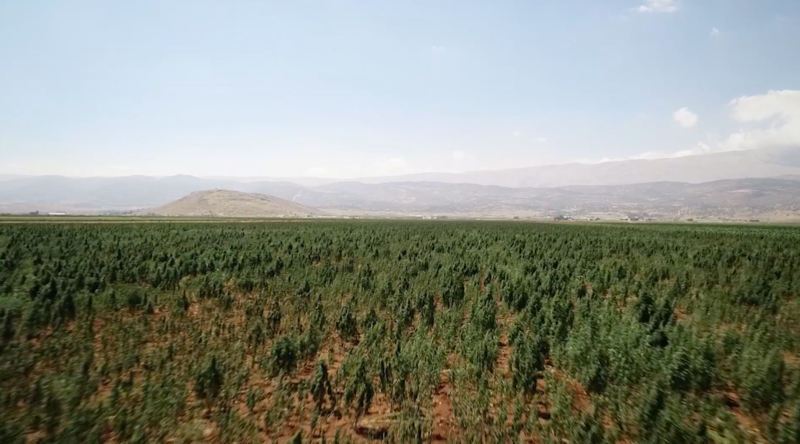 The Bekaa has a long history of producing hashish. Abu Salim even claims that his grandfather once found an engraving of a cannabis flower amid the ruins of the ancient Phoenician city of Baalbek. And its reputation extends far beyond Lebanon’s borders, with “Lebanon Gold” a staple on the menus of coffee shops in Amsterdam in the Netherlands. Tetrahydrocannabinol (THC), the main psychoactive ingredient in cannabis, was first identified in a sample of smuggled Lebanese hashish in 1964. That discovery helped pave the way to research into the medicinal and therapeutic components of cannabis. Lebanese officials hope that legalizing the crop will boost exports, helping to jumpstart Lebanon’s moribund economy. It has the world’s third-highest ratio of debt to gross domestic product and suffers from decaying infrastructure and ballooning unemployment. 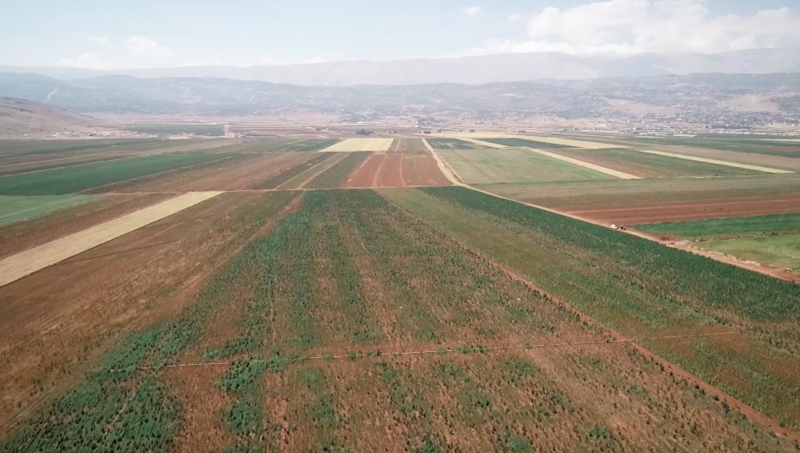 Lebanese agriculture experts say the move could also breathe life into a languishing agricultural sector buckling under the effects of climate change. “It can provide around $400 million to $800 million of revenue to the country,” he adds. Haidar, who is also a native of the region, argues that there are few alternatives to hashish cultivation in these plains. The plant’s profit margins, he says, are extremely high — at least triple those of potatoes and onions. For now, law enforcement seems to be turning a blind eye to the cannabis farms. Police crackdowns on the farmers are infrequent, though the specter of arrest still hangs in the air, forcing farmers to stay out of the public eye. The predominant political force in the area, Hezbollah, appears to have a largely hands-off relationship with the farmers, according to experts and residents. Several hashish farmers are supporters of Hezbollah, says Abu Salim. While the group has refrained from publicly endorsing efforts to legalize hashish, its most prominent political ally, House Speaker Nabih Berri, backed the move last month, becoming the most senior figure to do so. Hezbollah declined CNN’s request for comment on the legalization of cannabis. The people of the area have too much to gain from decriminalizing hashish cultivation, some say. “Nobody can interfere with this one. Not even Hezbollah can interfere with this one. No way. There would be a revolution against them,” says Haidar. So far, the move has received little opposition, a sign that Lebanon’s multifaceted political class is supporting it. “The McKinsey report came out and all the politicians started to jump on it. I think they used it as an excuse to hide behind,” says blogger and long-time cannabis legalization advocate Gino Raidy, referring to the 1,000-page economic report that was given to the Lebanese government last month and included a recommendation to legalize medicinal cannabis. But the move may also be happening in tandem with a shift in perception about cannabis use. “Ten years ago, no one would have imagined this. Even a joke about hashish was too much back then,” says Raidy. Meanwhile, as the politicians scrape together a cannabis law, Abu Salim will continue what he’s been doing for years: tending the plants, harvesting them when they’re ready, and selling them on — despite the various risks.